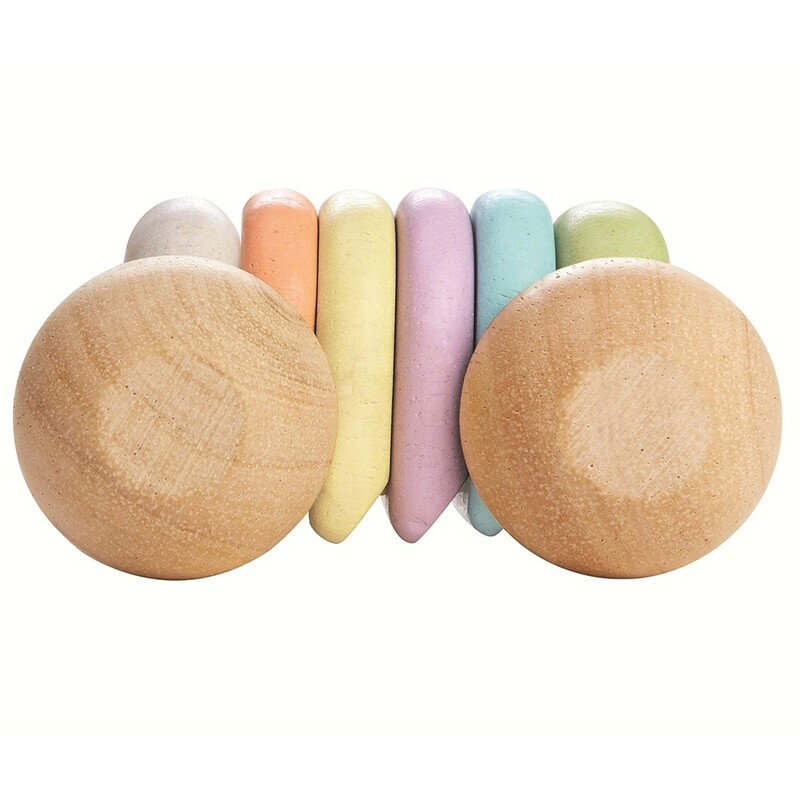 This pastel coloured and natural wood toy car is an adorable baby toy for rolling along the floor and rattling. 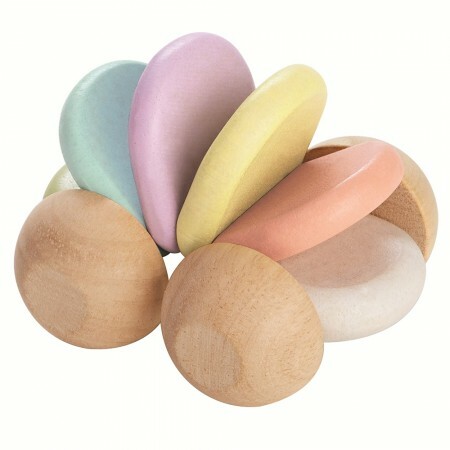 The wheels roll smoothly along the floor and, when pushed down, the central pastel pieces make a gentle clacking sound. 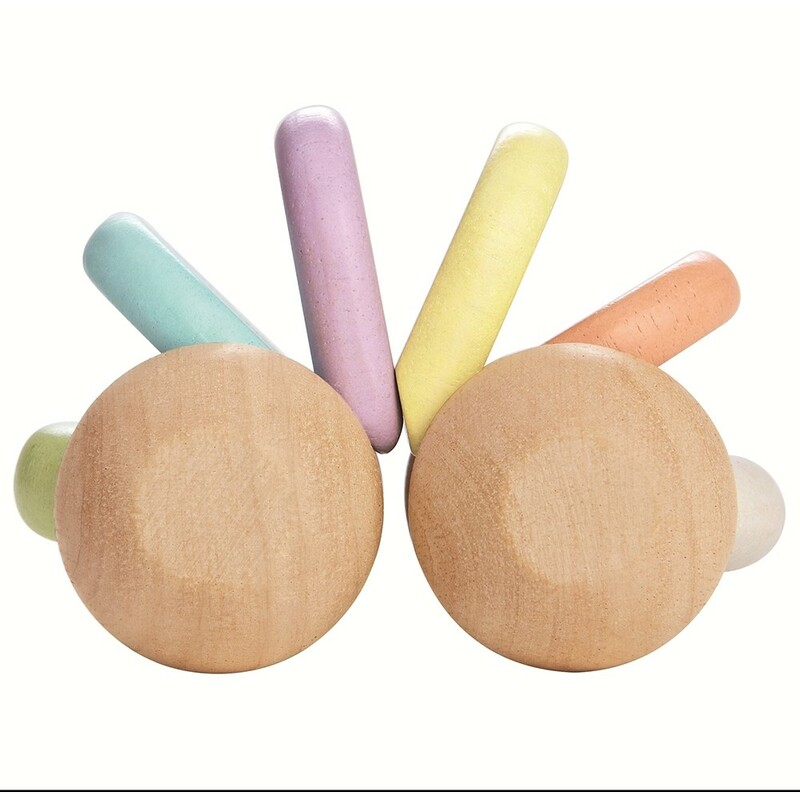 The charming colours and rattling sound appeal to babies' senses, and they will love to push it along. 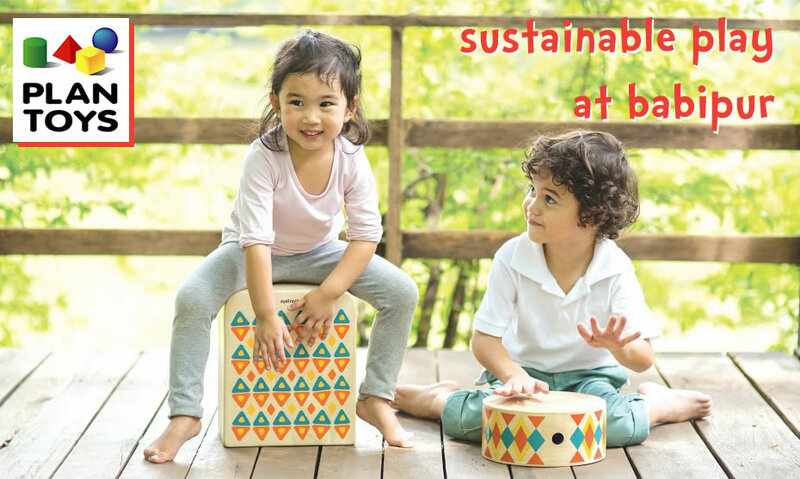 This rolling toy is safe for teething tots to chew on and is ethically made from solid, sustainable rubberwood and painted with eco colours in pastel shades. 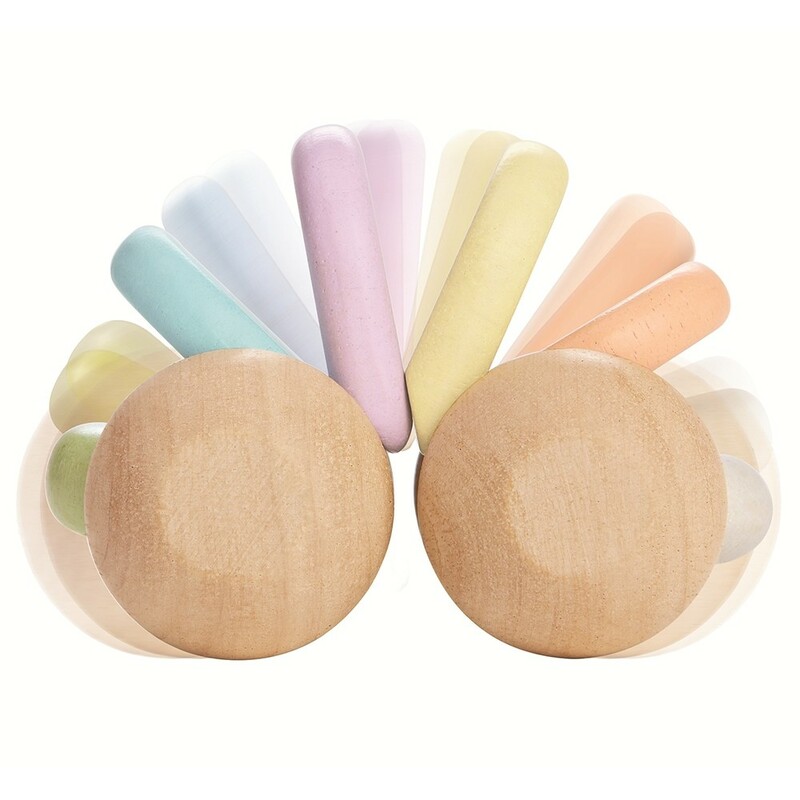 We love the new pastel colours available on this classic Plan Toys wooden baby toy and think it's a perfect gift for a growing baby. Measures 9.9cm x 8.2cm x 6.9cm. Schematic play: trajectory. 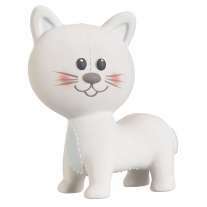 Ideal for children interested in moving themselves and objects in straight lines.